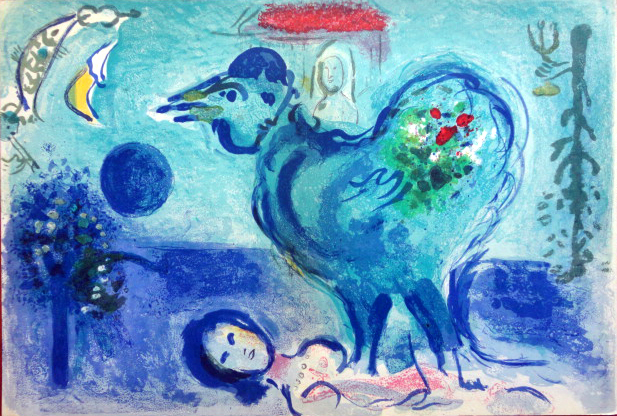 Marc Chagall, Paysage au Coq, original colour lithograph, double page with center fold, 38 x 56 cm. DLM no. 107-108-109, Sur 4 murs, published in 1958 by Galerie Maeght in Paris; contained original lithographs by Marc Chagall, Joan Miró, Alberto Giacometti, and Pierre Tal-Coat.